I've never been a big fan of resolutions. Maybe it's because I typically will set goals for myself and work to achieve them (except for when it comes to drinking Coca-Cola). I can't seem to kick that one! 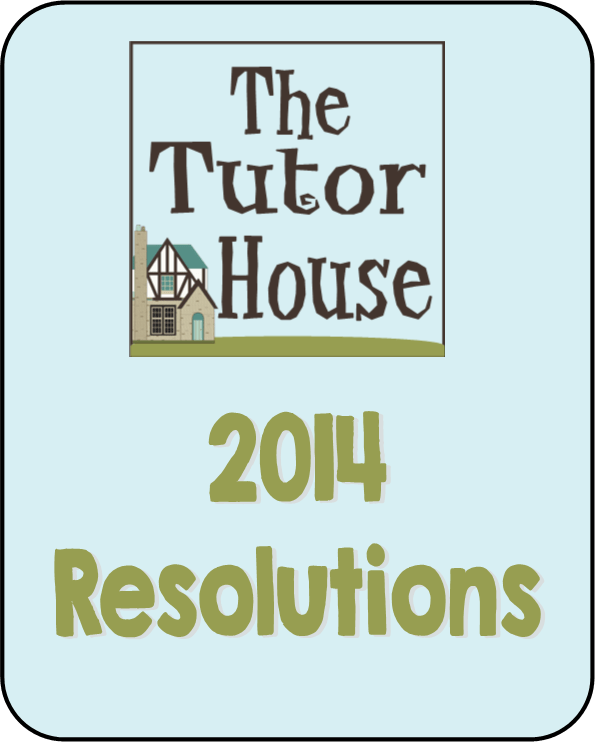 I wanted to set some goals for The Tutor House to help me stay on track and most importantly—help you! As you know, I consider myself a novice tutor. I run a tutor business, but my way of running a business is not the end all be all when it comes to the nuts n' bolts. I love highlighting other tutors and letting them share how they do it too. You all are a bunch of really talented people! My goal with the tutor conference is to share more information that caters to the private tutor, not a franchised tutor business. There are little nuances when running your own tutor business that come up that franchised tutor businesses do not deal with. 3. Hangout More with All of You! I recently did a Google Hangout with Victoria of TheTutoress and oh man–we had fun! It was a great event. I would love to just hangout and talk face to face about tutoring with all of you. My hope is this would be a little more laid back than the conference I was talking about above. I have DIY'ed a lot of my site. You can definitely tell because it runs so slowly and at times isn't organized very well. I have to put out some serious cash to get a really good web design, but I know it will be worth it because you'll be able to find things to help you run your tutor business easier. 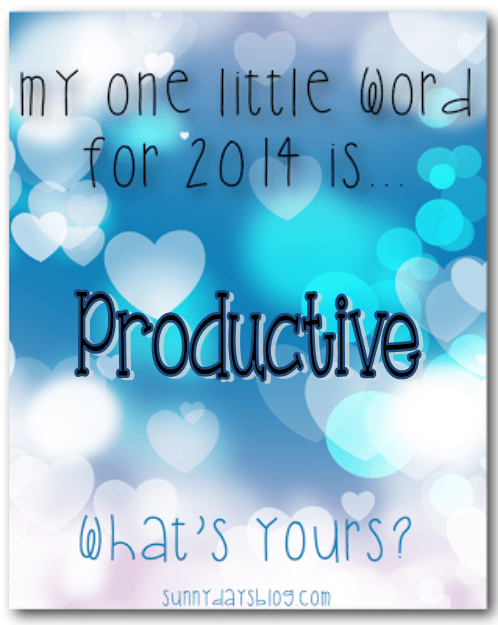 I am also linking up with Denise of Sunny Days today to share my one word that defines me: Productive. I want to be productive this year in big ways (as you can see above). I have a tendency to just give and give which leaves my personal projects in a lurch. I am slamming on the brakes to refocus on being productive for myself. So glad you found us Shannon! I look forward to getting to know you too. Best wishes on such a big goal! I'm a private tutor on a mission to help other tutors make smart decisions, get more students, and ultimately make more money. 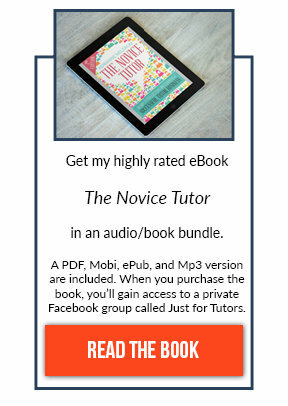 I'm the creator of the Profitable Tutor Framework--a course created to help you take the guess work out of tutoring . 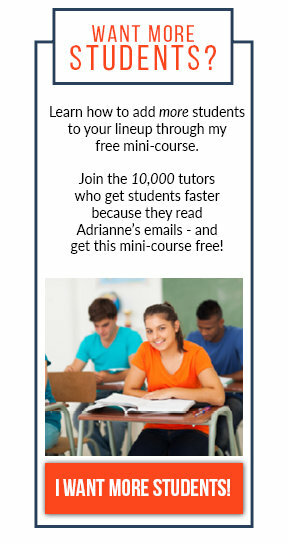 Do I Really Need a Website as a Tutor?